Article Highlight: What Is a Mommy Makeover? Are Ceramides Key to Skin Care? Is There Really a Treatment for Rosacea? What Causes Blue or Purple Lips? What Will Soothe Inflamed Skin? You are unique. You have your own personality, your own style, and your own ideas. Your skin is unique, too. You don't live your life just like everyone else, so why should you settle for cookie-cutter skin care? The writers at LoveToKnow Skin Care understand that every skin type has its own set of needs and challenges. We strive to offer customized advice so that individuals of all skin types can find tailor-made suggestions and recommendations. Maany common skin care concerns are best dealt with by using good preventive care and by finding skin care regimens that work for your individual skin type. Sensitive skin, for example, requires a gentle approach to health and beauty. If you have itchy skin, dry skin, or acne, your skin would greatly benefit from a skin care system created specifically for that problem. 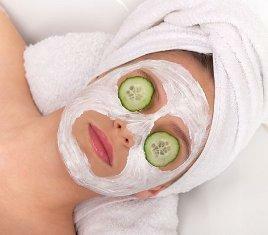 A beauty regimen developed for a different type of skin could actually aggravate the situation. We'll discuss skin care solution for preventing sun damage, acne, and other common skin care concerns to keep you skin looking beautiful. Even with the best prevention and care, there are many skin disorders and problems that need treatment. Healthy skin extremely important to how you look and feel; we'll arm you with information on treating a wide variety of skin care concerns, from cracked heels to treating yellow jacket stings to relieving dry winter skin. We'll also provide information on skin care specifically for men's and teens, as well as natural or organic solutions. The writers and editors of LoveToKnow Skin Care recognize that there are many different people with many different types of skin. We strive to offer accurate, up-to-date information. With the proper care, everyone can be happy in his/her skin… no matter what type it is!